As I mentioned in my last post on the way the new ACT and SAT test dates can change your testing timeline, your SAT and ACT test dates need to be conscious decisions that you make in advance, keeping in mind several competing factors. And one of the keys to success is to keep up your momentum once you start taking your 2-3 tests. However, as we also discovered in the last post, there are many reasons to take a break from the SAT or ACT before getting on the horse again—including Subject Tests, summer plans, finals, or other life events. So the question here is: how do you get back in the test-taking groove after you’ve taken some time off? Luckily, I've been coaching students through this process for a decade—and believe me, everyone has times when they need to dig deep for momentum. Here are the strategies that have helped my students to get back in the groove and achieve the scores they're capable of. 1) Start back with a mock test. Chances are that certain concepts deteriorated while you were removed from studying. If you are prepping for the ACT, your pacing might be sluggish at best now. Even though your current score is likely lower than what you’re used to (even by a LOT! ), you need to know where you stand now, which concepts stuck, and which ones you need to re-learn. 2) Don’t be hard on yourself! The odds are VERY high that your score retreated several steps while you were focusing on other things. I've seen people come back from a break down 3 ACT composite points or 100 SAT points! Yes, it's going to be messy at first, but don't beat yourself up. Realize that if you learned it once, you can relearn it much quicker…and this time, it will likely stick! Set your path and pace and stick to them—that's the way to climb the test prep mountain. 3) Double down in the beginning. Spend the first 2-4 weeks doing DOUBLE what you were doing before you took your break. If you met with a tutor once weekly before, meet with her twice weekly to get back up to speed. Do twice as many weekly problem sets to refresh your memory, even on topics you learned a long time ago. In fact, use your mock test from Step 1 to create a Things to Remember List to help you relearn all the concepts that fell through the cracks. 4) Once you’ve rebuilt momentum, ease back to your normal pace. The double-time pace doesn't have to last forever: once you're back in the groove and closer to being up to speed, dial it back down to the sustainable pace that had been working for you before you took that break. Keep your momentum going while making sure you have the endurance to last 'til your next test. 5) Do 2-3 mock tests the month before your next real test. The power of mock testing cannot be over-estimated! (That’s why I’ve written so extensively about the importance of mock tests.) 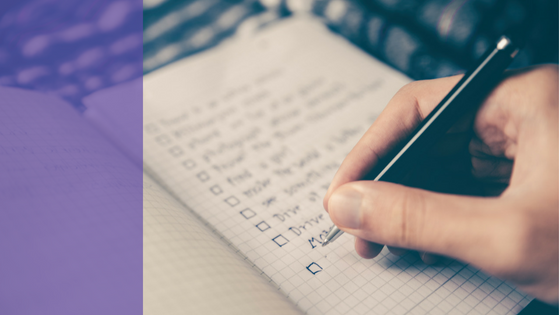 Remember that it’s not just about doing the mock tests, but about using them to improve…so go over each one extensively and use it to add onto your Things To Remember List. If you’ve done these five steps I just outlined, you should be back in the saddle and operating at your peak in no time! It works for my students, and it can work for you too. Good luck!